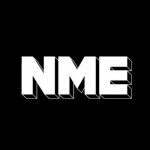 NME Video News – Let Us Know What You Think! The great thing about editing a website is that you can get instant feedback about your content from the people who matter most – your users. I’d like to introduce you to our new video presenter Naomi Shimada. She’s great and will be bringing you updates every Friday about the music news that matters most – or that we simply think is fun to talk about. I’d love to hear back from you about our weekly news programme – you can watch this week’s episode below now. Please post comments to let me know what you think! Too long? Too short? Perfect in every way? Not talking about the right bands? Would be better coming from a man dressed as a banana and playing a banjo? Whatever you think, I hope you enjoy it – have great Easter break.